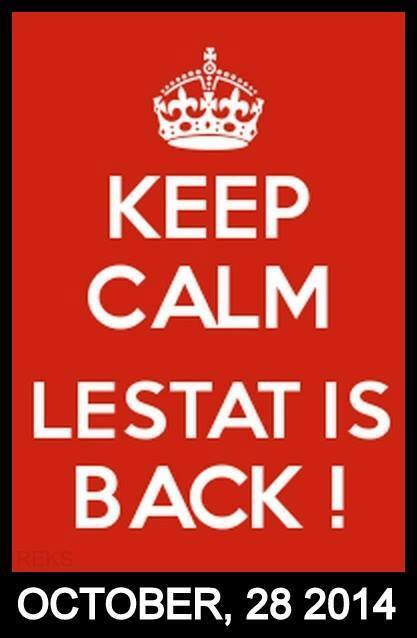 Reminder: According to Anne Rice, Prince Lestat will be available for pre-order on all internet sites, beginning tomorrow. It is already available for pre-order through Barnes and Noble’s website, though! Hello Members of my Coven, Welcome also to prospective members of this coven!! All are invited to sit down in our comfortable lair in a newly renovated New Orleans plantation home that has had a history of more ghastly horrors than any conventional haunted English estate. That means the whispers of ghosts can be heard beneath the animated conversation that will completely awaken this estate from its slumber. I am so happy that you joined us all here; let me lead the discussion with my thoughts on these three questions, and I’ll allow all of you to offer your own thoughts on each of these questions. This discussion is most importantly about you, not me, not my own thoughts. This is a discussion between all the members, and not just myself. 1.Stylistically, why do you think Anne Rice decided to write the first psychoanalytic vampire story of its kind, in the style of an investigative journalist, trying to find more about the true nature of vampires? Even though Dracula is considered a Gothic classic, I found it to be rather lacking in its psychological depth. It is interesting, though, that Interview with the Vampire is released years after the Freudian notion of psychoanalysis has become commonplace in the emerging study of psychology. More importantly, this is also the century, where Einstein’s idea of subjectivity begins to radically change the way we look at our relationship with reality. Many of the things that we accepted, based off societal pressure or a need for conventionality, are being to be called into question. In the sixties, we have the landmark release of The Feminine Mystique , which explores the under-explored psychological territory of the female psyche. The sixties was also the time, when we saw more backlash to warfare and blind patriotism. It is the era of sharply questioning social convention, and exploring the subjective perspectives of the outsiders that are almost always omitted in film and television. Interview with the Vampire is metaphorically written as a psychoanalytic study of exploring all the many unconventional philosophical or ethical ideas that we have long ignored. Anne Rice was writing the book, during the time when books like Invisible Man, Orlando, and Feminine Mystique were daringly exploring the psychological perspectives of marginalized individuals, which literature fails to touch. While Anne Rice has apparently remarked that she was writing Interview with the Vampire to get away from the popularized style of pedestrian realism. Ironically, her book, Interview with the Vampire, has the stark, psychological realism of a realism book, while also blending tried and true literary tropes from Gothic literature of the eighteenth and nineteenth century. It takes Mary Shelley’s Frankenstein,and gives it a Freudian spin. If Frankenstein were written in the twentieth century, it would have been Interview with the Vampire. Post-modern literary critics call the blending of older literary conventions with newer literary conventions: pastiche. Just think of pastiche like the concept of Steam-punk. Essentially, the steampunk aesthetic is a combination of nineteenth century style with a more modernized twist. Pastiche is defined by nostalgia; it brings a new modern spin or interpretation on older conventions. Except, Interview with the Vampire is written as an interview because investigative journalism is the favorite mode of writing for the modern skeptic. The interviewer is the psychologist, asking probing questions to our vampire, in order to understand the depth of his existential dilemma as a monster (or aberration) in a world teeming with mortals. We hear his subjective perspective of having immortality in a world, where immortality is a nonexistent concept. Old stories, like Dracula, treat the concept of being a vampire as a very sinful act, but Louis (the vampire character) paradoxically does not feel complete guilt. He is fighting against a world that has a much more subjective look at morality, even though he was raised in a more Christian world of the eighteenth century. By having the story written in the style of an interview, we are able to suspend our disbelief easier, and listen carefully to Louis’ unique perspective of everything that has transpired in his life. 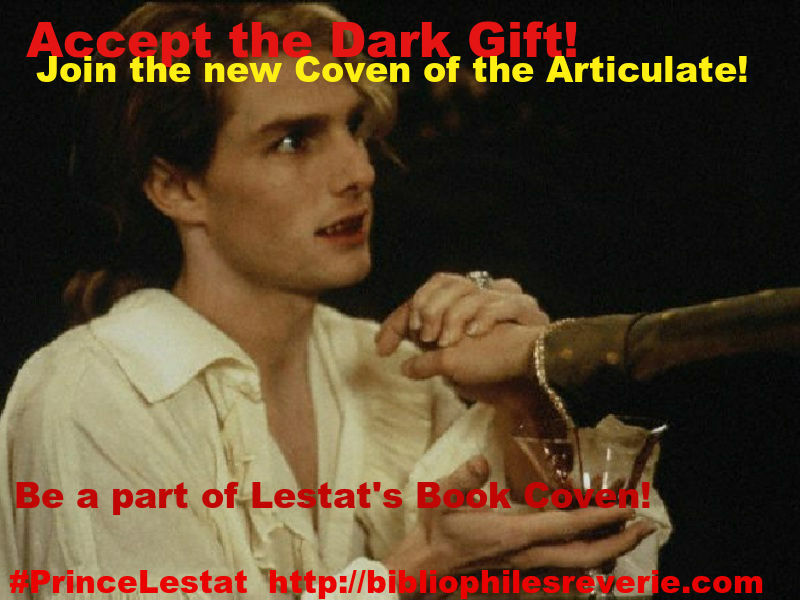 We will readily accept everything he says and empathize with him more than Dracula, because Anne Rice draws Louis, as a sympathetic figure, rather than a completely depraved one. The dialogue bridges our experience easier, and makes us believe that vampires might really exist within our world. It allows us to explore our own subconscious selves, and our most vexing existential questions. Interview with the Vampire is sadly under-appreciated by literary critics, even though it did more in terms of genre experimentation than many novels at the time it was published. I think that most of Anne Rice’s readers understood her work and the way its written, more-so than many of the literary critics. 2.Later in the series, the interviewer himself plays a far more significant role, but do you find his character to be a bit nondescript, and slightly generic in the first book? Was this, perhaps, done intentionally, in order to allow the reader to imaginatively play the role of the interviewer? By having Daniel appear as a slightly generic character is a stroke of genius because it allows us to focus more intently on Louis’ story. I really do think this was all done intentionally, and I believe it was written in the style of someone that is an open-minded skeptic. After the sixties and into the seventies, all our social conventions were being thrown into a whirlwind of confusion, and the interviewee typifies this entrenched skepticism that comes naturally to those born during this era or lived through it. He is willing to listen more to Louis speaking, and won’t legalistically judge him with Christian ideals of morality unlike Babette and the priest from the first novel. Louis can candidly speak to the interviewee because he is more modern person, and this book can be published in the seventies (and not the nineteenth century) because readers are more open to exploring much more nuanced portrayals of the monster figure. 3.In this first section of the book,how does Anne Rice subvert many of the conventions that have haunted vampire literature,ever since nineteenth century Gothic fiction and before brought vampires metaphorically out of the shadows?? Anything that made this creature supernatural completely vanishes. Scientifically, there are certain types of skin conditions that do cause certain people to be unable to walk out in the sunlight. This is why this concept of vampires being unable to walk during the day makes sense scientifically. It is completely understandable that vampires are still able to see their reflections and walk into houses uninvited because these are vampire concepts that are nonsensical and completely borne out of unscientific superstitions that were pervasive in the nineteenth century. This was a failure on Buffy the Vampire Slayer’s part (even though, I love this show/ am huge fan of it) because following some of these antiquated ideas made no sense anymore in the genre evolution of vampires. Purists that complain that Anne Rice’s vampires are too romantic usually are people that begrudge deeper portrayals of monsters. Some of these monster purists (those that believe monsters must be depraved and irredeemably evil) typically only love Frankenstein from the vantage point of the black-and-white film, which was a terrible adaptation of a book that was very progressive for its time. It lacked psychological depth and sophistication, and that is something that monster-purists love; they want vampires to be zombified (I don’t like zombies very much b/c of this) and just be easy targets for senseless scenes of carnage and not as an interesting opportunity to explore new psychological perspectives. These films are excellent in their genre of being campy monster films, and I thought the black and white adaptation of Frankenstein was executed well as a fun horror film. But as an adaptation of a very deep novel, it was a monstrous failure. From the vantage point of a modern reader, a vampire that has no reflection is absurd, and that is why Louis is humored by it. Having a concept of a vampire that subverts older tropes is a sharp reflection of Anne Rice’s acute awareness that the sixties and seventies are a time, when marginalized perspectives can be presented in literature free of ignorant stereotypes. Just enough scientific characterizations remain, in order to effectively make us believe readily that someone like Louis could indeed exist in this world. What are your thoughts on these questions? I know I didn’t discuss the various metaphorical imagery present in the depiction of the death of Louis’ brother, but that scene alone (along with the scene that describes Louis’ own transformation) are very interesting. Did any of you notice that stairs or steps appear in both scenes, depicting death? How about the imagery of darkness and light (very Shakespearean) used throughout this first section so seamlessly? One of the film’s strength was how well it portrayed the notion of grief, and how it is connected with alcoholism? Do you see the parallels between vampirism and alcoholism?